UW Campus– To celebrate more than 50 years of service abroad, the Peace Corps will be hosting an Information Session: How to be a Competitive Applicant on March 1st at 5:00-6:30 in Thomson 125. The Peace Corps recognizes the first week of March as Peace Corps Week to commemorate the signing of President John F. Kennedy’s executive order establishing the federal agency March 1, 1961. Broadcast quality audio and video of the historic occasion is available on the Peace Corps website. At the special campus event, come learn about volunteer experiences, have your questions answered, and gain tips to guide you through the application process. To receive updates about upcoming events in the area, visit www.peacecorps.gov/info or “like” the Peace Corps at the UW Facebook page http://www.facebook.com/PeaceCorpsUW. Peace Corps UW Campus Representative Phil Hayes – who served in Morocco (08-10) – will be at the event to share information about opportunities available with the Peace Corps, the benefits of serving with the agency, and tips to guide potential volunteers through the application process. The University of Washington has a strong legacy with the Peace Corps. Over 2,738 alumni have served with the agency since 1961 and 110 alumni are currently serving overseas ranking the university #2 in the nation among large universities. 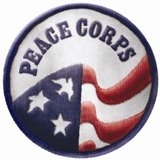 President Kennedy established the Peace Corps to promote world peace and friendship through three goals: helping the people of interested countries in meeting their need for trained men and women; helping promote a better understanding of Americans on the part of the peoples served; and helping promote a better understanding of other peoples on the part of Americans. Read more milestones from the Peace Corps’ rich 51-year history. About the Peace Corps: Since President John F. Kennedy established the Peace Corps by executive order March 1, 1961, more than 200,000 Americans have served in 139 host countries. Today, 9,095 volunteers are working with local communities in 75 host countries. Peace Corps volunteers must be U.S. citizens and at least 18 years of age. Peace Corps service is a 27-month commitment and the agency’s mission is to promote world peace and friendship and a better understanding between Americans and people of other countries. Visit www.peacecorps.gov for more information.